North California native Donald Ray Morgan was arrested at New York’s John F. Kennedy airport in August 2014 after travelling to Lebanon and Turkey in the hopes of joining ISIS in Syria. 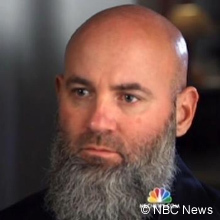 Morgan resided in Lebanon for eight months beginning in January 2014, where he advocated ISIS’s cause on Twitter under the alias Abu Omar al-Amreeki. Heleft Lebanon for Turkey in a bid to enter Syria and join ISIS. At the Istanbul airport, however, Morgan was stopped and returned to Lebanon.Sasha Goldstein, “American wannabe ISIS member is ‘practicing Muslim’ hoping to join caliphate,” NY Daily News, September 3, 2014, http://www.nydailynews.com/news/national/american-wannabe-isis-member-practicing-muslim-hoping-join-caliphate-article-1.1926931. After returning to the United States, Morgan was arrested for illegal possession of a firearm, and pled guilty to attempting to provide material support to ISIS (as well as to felony possession of a firearm). In May 2015, Morgan was sentenced to a 20-year prison term for aiming to provide material support to ISIS.Lee Ferran, “American Wannabe ISIS Fighter Donald Morgan Gets 20 Years in Prison,” ABC News, May 13, 2015, http://abcnews.go.com/International/american-wannabe-isis-fighter-donald-morgan-20-years/story?id=31009777. Abu Omar al-AmreekiSasha Goldstein, “American wannabe ISIS member is ‘practicing Muslim’ hoping to join caliphate,” NY Daily News, September 3, 2014, http://www.nydailynews.com/news/national/american-wannabe-isis-member-practicing-muslim-hoping-join-caliphate-article-1.1926931. Current Location(s) North Carolina, U.S.
“I would not classify myself as a radical, but by western definition I would be classified as a radical. I just consider myself to be a practicing Muslim.”Lee Ferran, “American Wannabe ISIS Fighter Donald Morgan Gets 20 Years in Prison,” ABC News, May 13, 2015, http://abcnews.go.com/International/american-wannabe-isis-fighter-donald-morgan-20-years/story?id=31009777. “[ISIS has] proven time and time again to put Islamic law as the priority and the establishment of an Islamic state as the goal.”Lee Ferran, “American Wannabe ISIS Fighter Donald Morgan Gets 20 Years in Prison,” ABC News, May 13, 2015, http://abcnews.go.com/International/american-wannabe-isis-fighter-donald-morgan-20-years/story?id=31009777.